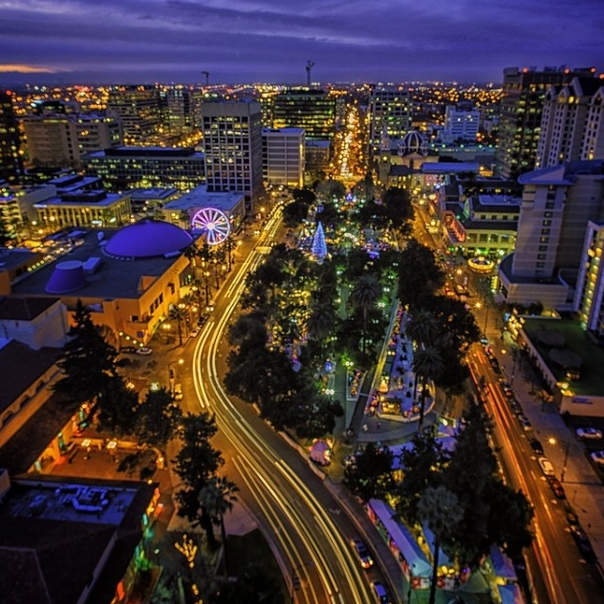 The San Jose Blog: 2014 is Going to be an Epic Year for San Jose! 2014 is Going to be an Epic Year for San Jose! The 49ers Stadium - Not only will San Joseans have easy access to a world-class facility, but it will bring some big dollars into our economy. San Jose stands to gain as much as Santa Clara with this new project, and it may also lead to an inflection point with VTA Light Rail. You also have to love that the first major event there will be a San Jose Earthquakes game. 10 New Cranes in the Air Downtown - The development boom in Downtown San Jose has just begun. While we already have cranes up for One South and Centerra, expect to see a sky filled with them by the end of 2014. Major Events at the San Jose Convention Center - The remodeled convention center looks fantastic. The 2014 Silicon Valley International Auto Show will be the first event to take full advantage of the new space, and I'll look forward to many more events that use the new space. More Great Restaurants - In 2013 we saw a huge list of significant openings Downtown: SP2, Cafe Stritch, Orchestria Palm Court, The Farmer's Union, Blackbird Tavern, Nemea, Ike's Vyne, Konjoe, Bray, Bel Bacio, and Whispers. Expect the trend to continue in 2014. I'm especially looking forward to ISO: Beers, Da Kine Grill, CREAM, and of course the SoFA Market. More international flights at SJC - We got Tokyo in 2013 and I have a feeling we will land at least one other major international route in 2014. Seeing North First, Midtown, and Japantown Develop - These are the three areas of San Jose that are seeing major urbanization outside of Downtown. In 2014 North First will get millions of additional SQFT in office space, thousands of new homes, and improvements to Light Rail. Midtown will start seeing some new residential projects and retail as will Japantown. The Completion of Santana Row - The last major development projects to complete the original vision for Santana Row should be in place or nearing completion by the end of this year. 1.) More than two high-rise buildings will break ground in Downtown San Jose. We know about the Carlyle and One South Market, but I think we will see at least one more. Close, but no cigar. Those two projects did break ground but we will not get the 3rd "high-rise" project until 2014. Many people thought these two would not happen, so I still consider this an overall success. 2.) A major transportation project will be greenlit: be it a BRT line, a Lightrail Expansion, or funding for the subway portion of the BART expansion to San Jose. The number of transit riders and bicyclists will rise. Yes. BRT moving forward. 5.) Downtown San Jose Office Vacancies will fall below 10%. Not even close, we are still around 20% but did score some big wins over the year. 6.) The number of restaurants in Downtown San Jose will break 250 for the first time in history. Oh, so so close... @248. 7.) We still have no decision on the A's stadium. However, you can expect a decision in 2014 before Bud Selig retires. This one will depend on how you look at it. Was there an official permanent decision on the A's or just that specific proposal? Still a bit grey here. 8.) San Jose will continue to dominate national rankings in salaries and quality of life. Yes, I think we nailed this one. 9.) We will maintain our status as the safest US city with over 500,000 residents. Yes, believe it or not. In terms of murders and violent crimes we were still far and away the safest city above 500,000 residents in the US. 10.) The Golden Triangle and North First Street developments will accelerate, and we will attract at least one massive tech company to relocate to San Jose to compliment what is the largest cluster of tech companies in the world by a huge margin. Yes, millions of SQFT in planned new developments... several major tech companies moved their HQs to San Jose and we will see a Fortune 100 company move into a million SQFT of North San Jose space in 2014. Okay one last section here. redesign to the layout of the site. The main panel is now much wider, allowing us to post substantially larger photos and videos. There is also a new ad-block on the right, which I tried to make as subtle as possible. I hope it is not too annoying, but if it is feel free to email me about it (josh@thesanjoseblog.com). Also, for 2014, you will likely see several more days with two posts instead of one. There is so much going on that it is difficult not to get behind with only one post per day. That's a wrap, hope you all have an amazing first day of 2014! Dang it Josh, why did you have to say nice things about the Sharks? Now you've jinxed them, yikes! Hahhhaha! Anyhow, thanks for all your work dude, keep it up. Happy New Year to you and all the other readers (even the bitter ones) as well! Thanks Bob (for both posts)! Yep, 2014 will be EPIC. Josh - Great job on the blog - really appreciate the information and the enthusiasm about what's going on in SJ. We are definitely heading in the right direction, and 2014 is going to be a good year! That being said, one small point on your list of 2014 predictions... In the bullet point about North First, Midtown and Japantown, you say that North First will see "improvements to light rail" in 2014. My understanding - confirmed in your post just a few days ago - is that the only physical changes to light rail coming in 2014 will be some track changes along Tasman in Santa Clara to serve Levi's Stadium. I believe the North First speed/express service improvements you're thinking of are only expected to come online in 2017, when the first leg of BART opens. Anon, there is also plan to speed up the North 1st section from 35 to 45mph. It's the first month of this year and already two of the Century dome theaters have been demolished. Let's hope that no more of them fall.